THE BEST WEDDING PHOTOGRAPHY GEAR! Sunny Isles located in North east miami Dade county is a sea side community with luxury condominiums, hotels and resorts. As one of the most popular locations in South Florida for weddings many couples get married here yearly. One of the most popular wedding photography studios couples choose for their wedding photography is Couture Bridal Photography. Couture Bridal Photography is among the leading top rated wedding photography studios in the United States based in Fort Lauderdale Florida. The professional photographers at Couture Bridal Photography offer the most unique and distinct style of wedding photography couples love most for memories of their wedding day. As the most preferred wedding photography studio in Sunny Isles Florida, we offer professional printing, custom handmade Italian Wedding albums, photo booth rentals and the best wedding photography experience and personalized service in Miami-Dade county. Couples getting married schedule engagement photography sessions along the shore in Sunny Isles with beautiful views of the atlantic ocean. There is also a pier in Sunny Isles that makes for the perfect location for engagement pictures. Another popular location for engagement photography is the jetty along the inlet at Haulover Beach. Sunny Isles is one of the most popular locations for engagement photography in Miami. Couples getting married in Sunny Isles typically choose Marenas Beach Resort or the NewPort Beach resort for their wedding day. 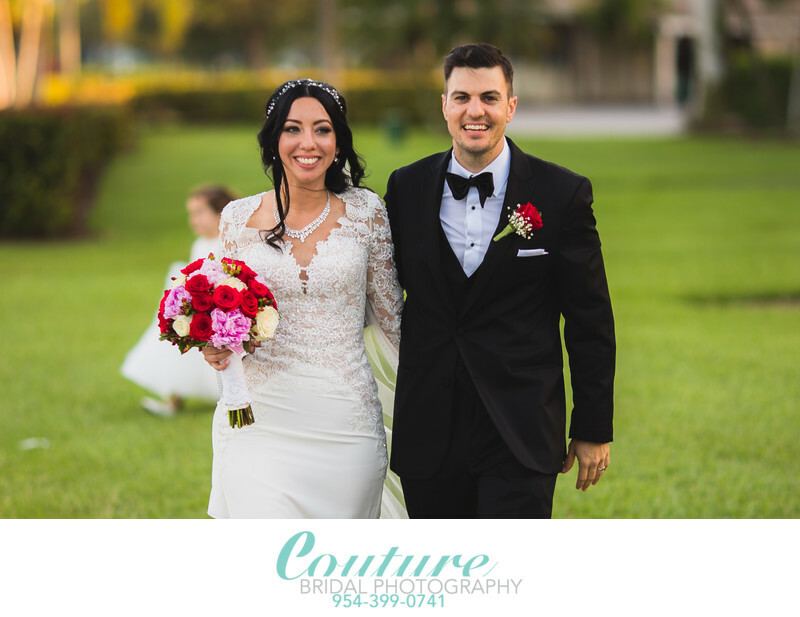 Couture Bridal Photography is the preferred and most recommended wedding photography studios for the best wedding photos in Sunny Isles for couples who want the very best story telling wedding photography. Location: 18683 Collins Ave. Sunny Isles Beach, FL 33160. Keywords: bride and groom (198), Sunny Isles (6), wedding (36). 1/200; f/2.0; ISO 100; 135.0 mm.